As the largest food bank in the area, Second Harvest Food Bank of East Tennessee provides over 18 million pounds of food annually to hungry people in a 19-county region. With one in six people in East Tennessee having difficulty meeting basic needs, Second Harvest has had an immense impact on the region through their efforts. Even with their successes, they recognized the limitations of the traditional food drive. 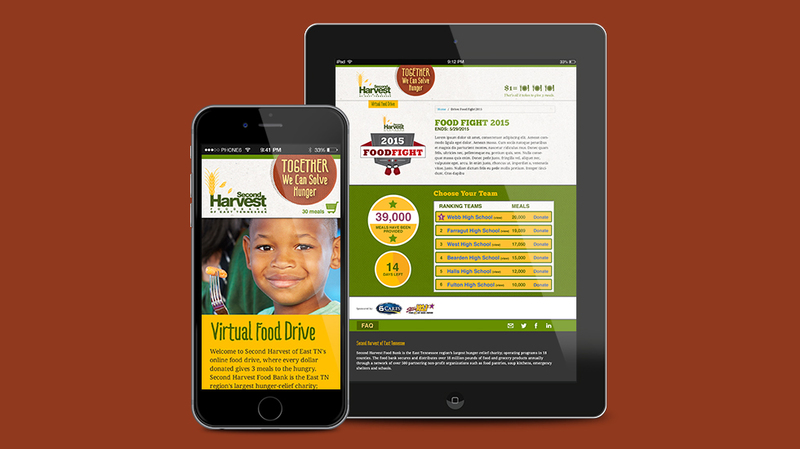 In order to increase donations by reaching a broader audience with an efficient process, Second Harvest partnered with Morris Creative to bring the time-honored tradition of a food drive to the digital world. 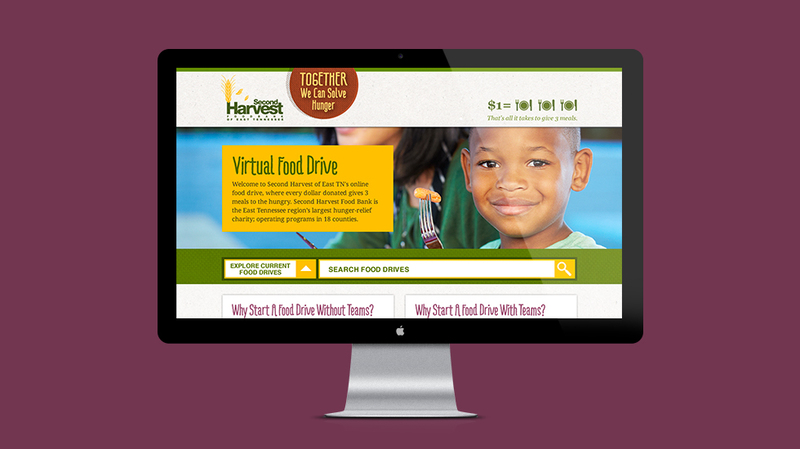 Together we created a web-based software application that allows food banks to manage food drives online, provides a service for organizations and individuals to create their own personalized food drives, and makes the donation process fun and competitive for users. The application allows Second Harvest to run as many simultaneous food drives as they like, and also allows the option for a food drive with teams in order to create a competition amongst organizations or individuals. Included visits to SH warehouse and client conversations that led to an understanding of goals, objectives and expectations. Researched non-profit online services and industry-standard software. Defined target audiences and developed user personas. 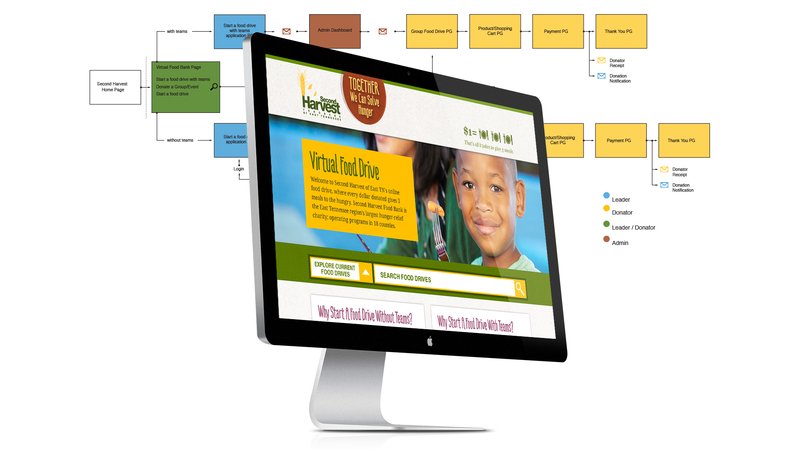 Created task-flow diagrams for user journeys. Interaction prototyping, wireframes and detailed mockups. User testing with wireframes revealed insights and offer improvements. Code and design assets were assembled to create a product that meets specifications. Observed and unobserved testing with users to further refine and improve the user experience. Hands-on training with application administrators. Launched app three weeks before client’s initial deadline.